CHECHESMITHNATION : The Kardashian Momager looked age proper in this ensemble. The Kardashian Momager looked age proper in this ensemble. 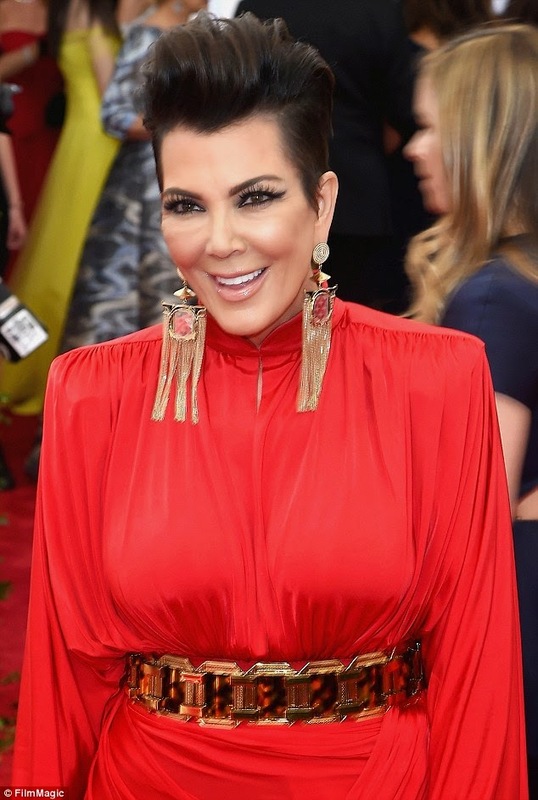 Kris Jenner stepped in at the Met Gala bash looking so age proper in this shiny red number that featured shoulder pads. The 59-year old mother of six teamed her look with more youthful gold earrings, a matching belt and a gold and black strapy heels. She looks great and beautiful.